Remember when Dorothy arrived in the Land of Oz? She was faced with a new environment, far different from Kansas, and the change was extraordinary for her. To go home, she was told to follow the Yellow Brick road to the Emerald City. Faced with no way to communicate or even know where she was going except to follow the Yellow Brick road, Dorothy began her journey. Along the way she meets a Scarecrow, a Tin Man and a Cowardly Lion, all with specialized knowledge, to help her along her journey. They stumble along at times, sometimes due to lack of information or unexpected situations, like when the Tin Man needed additional oil to keep his joints from freezing up. So what does this have to do with project communications? Over the past few years, many social media tools have jockeyed for favor amongst the business community to provide “information” to the masses. But in today’s world, how can you know, as a project manager, what are the best tools for project communication, other than traditional email to send a status report? How do you know that your status report has been read and clearly understood by your Project Sponsor, Stakeholders and your project team? Are you willing to try something new? 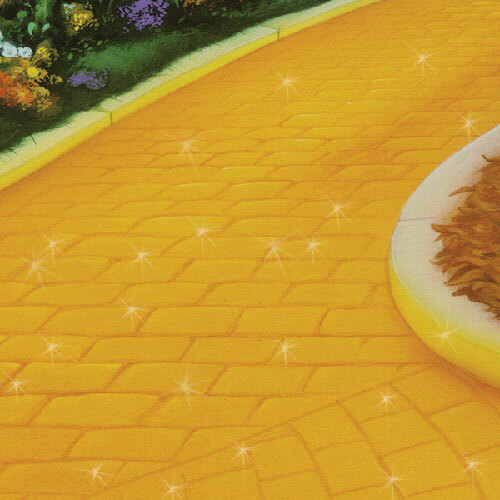 Are you willing to travel down the Yellow Brick road and see how social media tools can improve your project communications and reach your Project Sponsor, Stakeholders and project team? Are you willing to let your project team provide updates via social media channels? Are you ready for the Yellow Brick road to something new and exciting, or do you want the Wicked Witch of the West blocking your communication withflying monkeys spreading inaccurate information about the project? Remember your companions on your trip down the Yellow Brick road – the Scarecrow, Tin Man and Cowardly Lion? Leverage them to your advantage. They are the brains, heart and courage, and as project champions can enhance your communications across the project’s social media channels and help block the flying monkeys. With so many social media tools at our fingertips, how do you choose which is best? That decision is up to you, based on your audience and what you want to communicate, but there are many innovative options for collaboration. Many of us use Facebook, Twitter, and LinkedIn, and there are options to use these tools internally. Additionally, there are tools like Yammer, LinkedIn and SharePoint that allow you to have internal “communities” to get your message out. But are they secure, you might ask? Of course! Using tools like Facebook, YouTube, LinkedIn – they are all secure channels of communication. So as you begin your journey down the Yellow Brick road with the Scarecrow, Tin Man and Cowardly Lion, work with your project team and identify the tools you think will provide you the best channels of communication. They may not be perfect out of the gate, but the only way to know is to start and continuously improve your use of the tools through your project. Remember that the Yellow Brick road was fraught with danger – but Dorothy successfully made it to the Emerald City – and you can too. This entry was posted in Project Management, Social Media and tagged project communications, Project Management, social media. Bookmark the permalink.